* special promotion * Buy - 1 - free - 1. 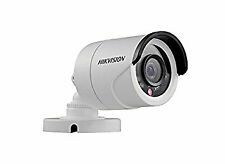 CCTV 1/4" COLOR INFRA-RED Dome Camera - AHD 1.0MP HD 720P. Features:Wide angle 1/4. 24 LED Lights support Day & Night Vision. - Best vision within 15 Meters. Www.myittd.com. Qi Tech INTEL Core i3 Mini Computer. ~ FREE WiFi Adapter & YOOBAO Power Bank (While Stock Last !!!) MS-Windows-7 PRO COA License rm150. Options: - FULL Aluminum Case @ Weight < 2 Kg. CCTV 1/4" COLOR INFRA-RED Dome Camera - AHD 720P 1.0MP Power Adapter. Features:Wide angle 1/4. Ahd 1.0mp hd 720p. 24 LED Lights support Day & Night Vision. 3.8 - 10mm Auto Iris Focus Lens.